Kids young, and old alike will love 5 Minute Creamy Cardamom Banana Milk because it tastes divine! Banana milk is becoming a bit of a craze. Coffee shops and eateries have started offering it in specialty drinks. And new packaged varieties are hitting the local grocery store shelves, too. But do you want to know a fun little fact about banana milk? Well, you can quickly make delicious 5 Minute Creamy Cardamom Banana Milk at home… got five minutes? One of the things I’ve come to appreciate most about dairy-free banana milk is how it helps in a pinch when milk is running low. When I run out of milk, if there are sweet, ripe, bananas in the house, I don’t feel pressured to run out to the store to grab more almond milk since I can make my banana milk in minutes. And thanks to the ultra-creamy texture of bananas and its neutral flavor, it’s a natural fit for “milk” making. 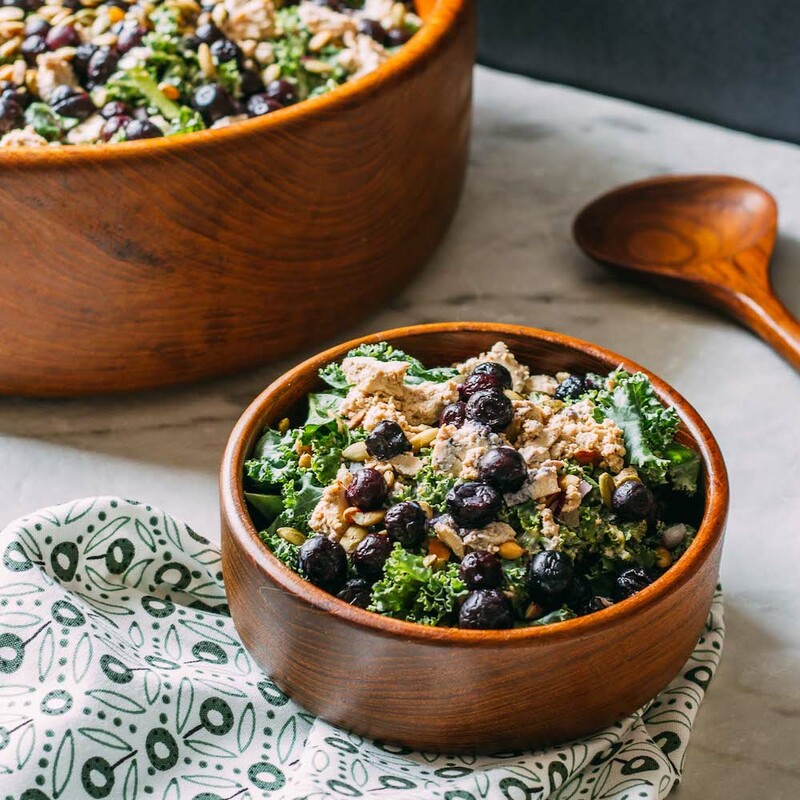 Plus, it’s way less expensive to make than nut milk, it’s significantly lower in calories, and it has tons of nutritious fiber and potassium. 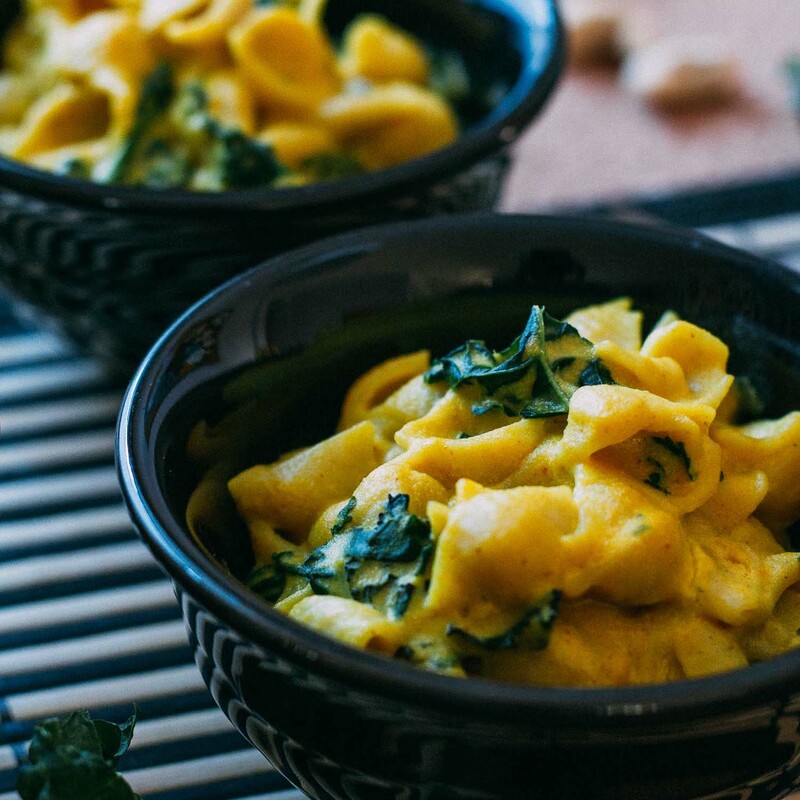 I use a just pinch of cardamom in my recipe because I’m nuts about the spice! I’ve recently discovered that I love how cardamom tastes with natural sweets such as bananas and dates. Cardamom is a spice that offers a cooling effect to the body. And while it’s worth adding cardamom to your food for the flavor alone, its health benefits are also something to consider the next time you break out your savory spices. Cardamom assists digestion, it detoxifies, helps with bad breath, acts as a diuretic, and is believed to help depression. But don’t just limit yourself to the awesome flavorings in the 5 Minute Creamy Cardamom Banana Milk recipe that I’ve created, let your imagination go wild. Ever since tasting banana milk for the first time, my creative wheels have been turning! Use one teaspoon of vanilla instead of or in addition to the cardamom and cinnamon in this recipe. Try two teaspoons of maple syrup or a sweetener of your choice in place of the dates. Two teaspoons of cacao powder would work well for a chocolatey banana milk. 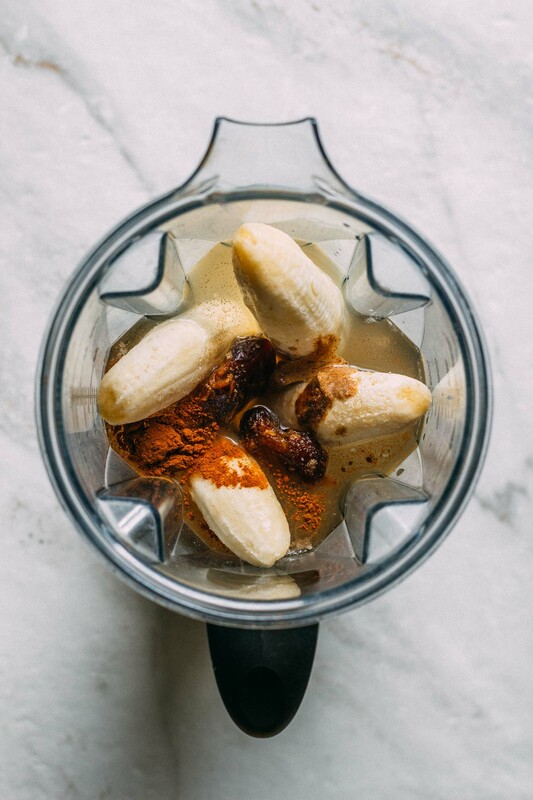 Add one teaspoon of cinnamon combined with one teaspoon of ground nutmeg for a spicey, egg-nog-like banana milk. You can also change out the almond butter to another nut or seed butter of your choice or leave it out altogether. The most important suggestion I can provide is that since it’s your banana milk… make it how you like! Oh, and if you come across any unique combos you’d care to share, by all means, leave a comment and tell us about your banana milk victories! I love recipes that offer versatility like this one for 5 Minute Creamy Cardamom Banana Milk. It was like hitting the jackpot when I landed on the version shared here. And I sure hope you enjoy it as much as I do. It tastes especially wonderful with cookies and this recipe for Chewy Chocolate Chip Oatmeal Cookies definitely hits the spot! Oh, and be watching for some new banana milk combos because, as I said, my wheels are turning! I’m thinking maybe 5 Minute Creamy Cardamom Banana Milk Hot Chocolate might be next! I’ll add more cinnamon and some lovely rich organic cacao and warm it until it’s nice and cozy…. it will be amazing! 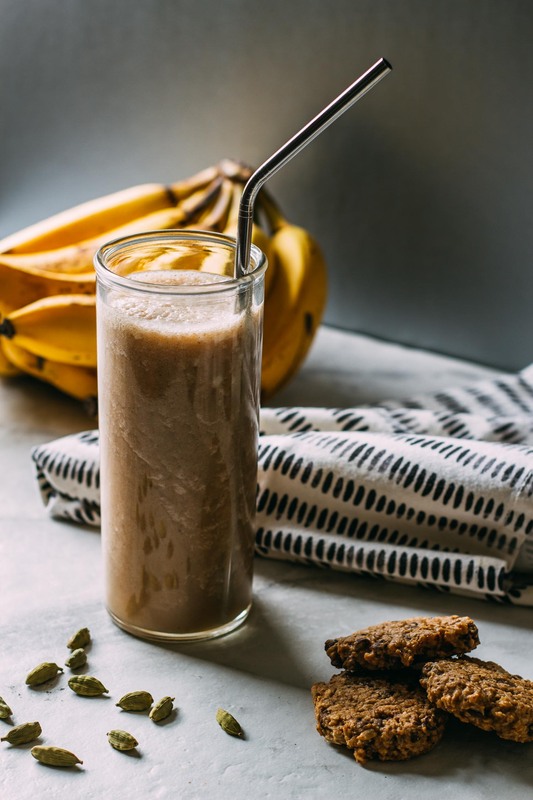 Gluten-free, dairy-free and refined oil-free, refined sugar-free 5 Minute Creamy Cardamom Banana Milk will get your mind racing with wonderful ways to use this delicious beverage. 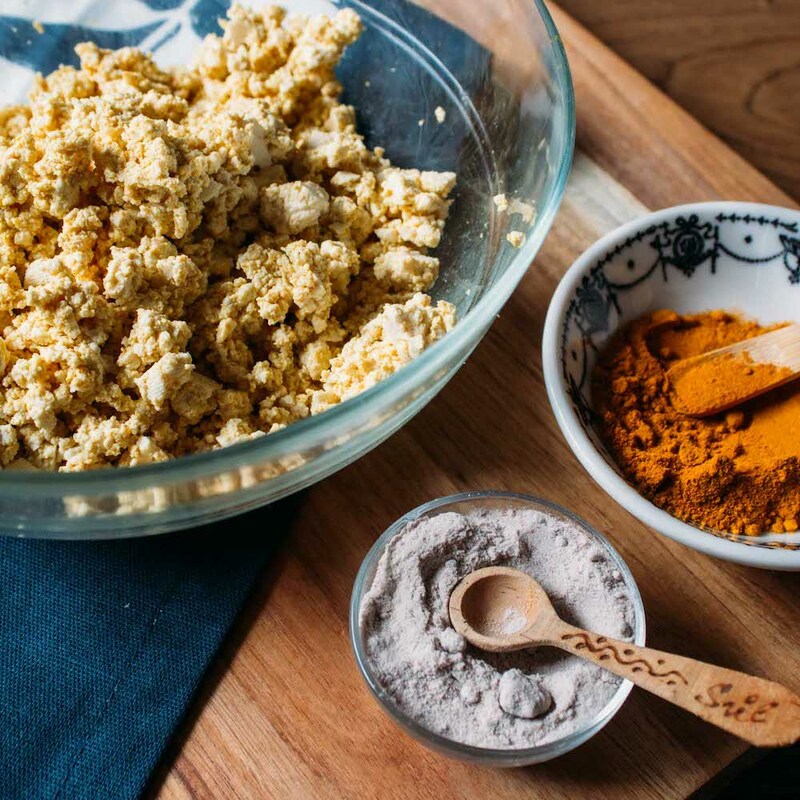 You may want to use it when baking in place of costly nut milk. 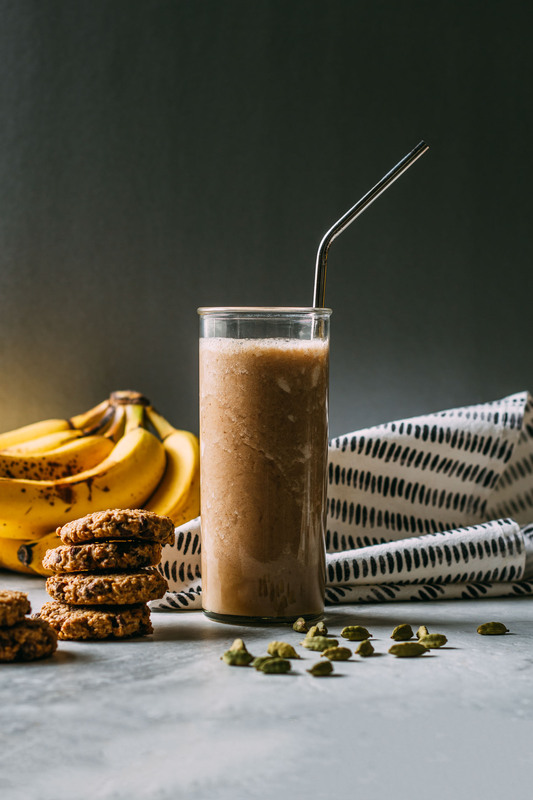 5 Minute Creamy Cardamom Banana Milk could come in handy when another plant-based milk is running low, and you find yourself coming up short. It’s also good just to sip nice and slow; it tastes like a treat in itself. You can spike it with some rum and make it all grown up or add it to your coffee to make it froofy! The possibilities of ways to enjoy 5 Minute Creamy Cardamom Banana Milk are endless. You’ll love it, even more, when you pair it with our homemade, gluten-free, vegan, Chewy Chocolate Chip Oatmeal Cookies. Make some, and you’ll soon taste why I’m hooked! Place the ingredients in a high powered blender and blend until smooth, tasting to adjust seasonings as needed according to your preference. It's perfectly fine to use frozen bananas you've stashed away in place of the fresh ripe bananas. If you prefer your milk a little sweeter, add another pitted Medjool date or two. Likewise, if you prefer your 5 Minute Creamy Cardamom Banana Milk to be a bit less sweet, use fewer pitted Medjool Dates. To save money on the Medjool dates used so often in plant-based vegan cooking, I usually purchase this brand in a five-pound quantity. Since I use dates as the sweetener in almost everything I make, it just makes sense to buy in bulk... it's like getting two pounds of organic Medjool dates for free! Once I reorganize my pantry to make room I will likely jump up to purchasing fifteen pounds of organic Medjool dates at a time to save even more money... it will be like getting five whole pounds for free! Since I know they will get used and will not go to waste, that's too good of a deal to pass. We’re happy to hear you enjoyed the 5 Minute Creamy Cardamom Banana Milk. (Thank you for letting us know – so kind!) 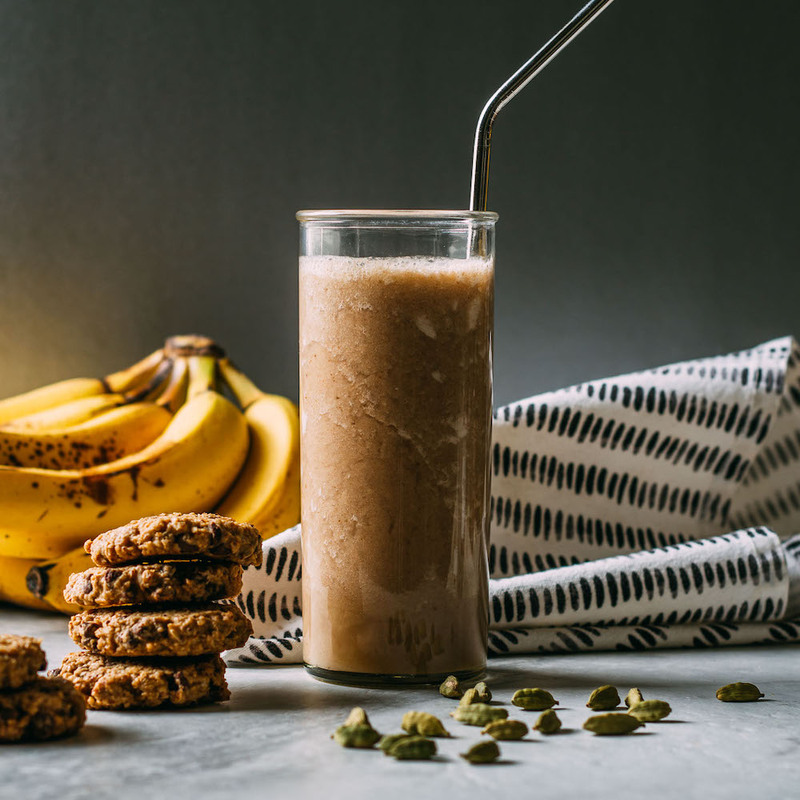 Ever since we whipped up this milk, we feel relieved because now when the plant-based milk runs low, we think, well, we can always blend up a delicious banana!